10K in 46 minutes 11 seconds. You will have bad days & good days, slow runs & fast runs, group runs & days when you run alone – but it is very important to be consistent. Today I completed my 10th consecutive day of running at least 10 kms everyday. 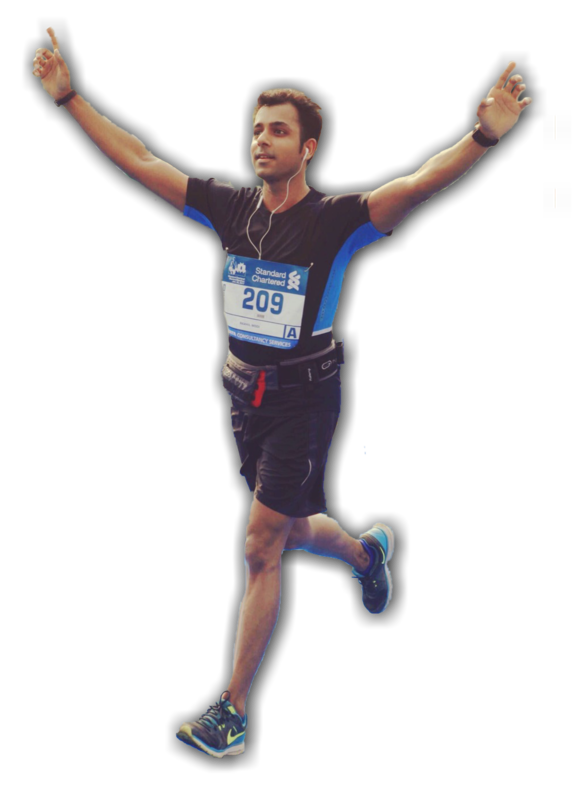 I couldn’t have finished it better than with a Half Marathon for @ficciflomarathon in Magarpatta City, Pune. Running can do wonders. It did for me. Go Run today. Define yourself. Sub 2 hours – Half Marathon (21.097 kms) with a negative split racing strategy. Firstly: You must set your Half Marathon goal time 2-3 minutes faster in case the course is a bit longer (it usually is) or if you have to beat the crowd at the start of your race. Don’t worry. These extra minutes will also come in handy when things get really tough towards the end. Secondly: AT THE BEGINNING OF YOUR RACE SLOW DOWN! Now, coming back to the negative split racing strategy. It is a strategy that involves completing the second half of the race faster than the first half. For a 21K, things may not seem as easy as it did for a negative split 11K strategy I shared last week. However, it follows the same disciplined technique to progressively increase speed, to conserve energy for the 2nd half of your race and to finish strong. As I said earlier, YOU MUST start slow. Go for a 06:20-06:10 mins / km in the first 3-4 kms and allow your body to warm up. Towards the end of the 4th km you should be running at 06:00 mins / km. From there on in the next 3-4 kms progressively move from 06:00 to 05:45 mins / km, and then go steady at around 05:45 mins / km for the next 3 kms i.e. until the end of 10th km. You should be able to manage a 10k in less than an hour. Now that you have conserved good amount of energy by going slow in the first half, you should be feeling good about it. It’s time now to move closer to your race pace of ~ 05:35 mins / km in the 11th km. In the 11th km shift gears from 05:45 to 05:30 mins / km and then go steady for the next 3 kms. You have now covered 14 kms in less than 1 hour 22 mins. In the 15th km again shift gears from 05:30 to 05:15 mins / km and then go steady for the next 3 kms. Yay 👊🏼 and you have NAILED IT ! Stay hydrated through out your run (and have 100ml of water at every water station 3-4 kms away). This can avoid injury or cramps towards the end.